Roasted Spiced Cauliflower - A delicious and healthy side dish! 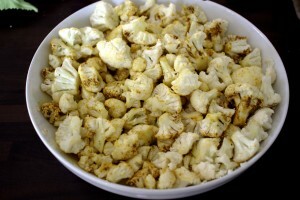 Cauliflower is one of those foods I never ate before I went grain-free. In fact, I remember distinctly being told by doctors and dietitians not to eat it as it could be troublesome for someone with Crohn’s. Now, I eat at least two whole cauliflowers each week. It is one of the most versatile vegetables out there. 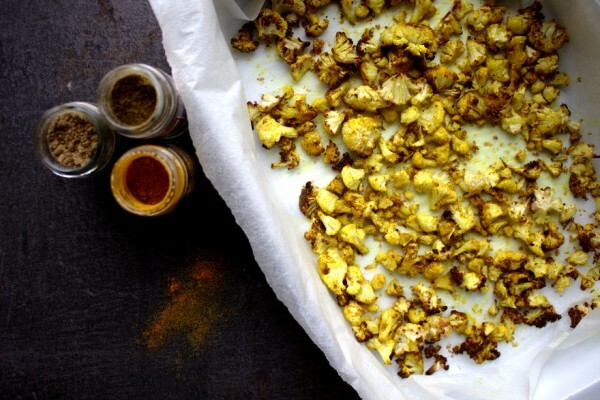 Cauliflower and spices really compliment each other. I used my favourite combination of spices here: coriander, tumeric and cumin and I think it works really well. It was a hit with the rest of the family too. Variety of food and flavours is really important to me. I try to make different vegetable dishes all the time. As well as being vital for a healthy gut, this helps to keep my daughter interested too! This is one of those dishes that you can prepare when you come in from work. I let it cook away while I tend to one of the other million jobs of a working mum! I used to be somewhat afraid of spices. Another food group I avoided! Now, I add fresh herbs and spices to every meal in some form. We found a local Asian food wholesaler about a year ago and now we’re regular customers. Walking the aisles discovering new foods and flavours is one of my favourite pastimes! 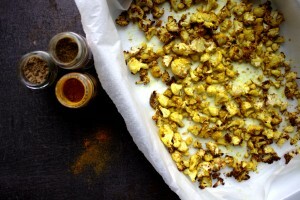 As with most of my recipes, the leftovers of this Roasted Spiced Cauliflower taste good. I just reheat it very gently for about a minute and enjoy it with some of my favourite chicken drumsticks. This is easy enough to prepare mid week but posh enough to serve at a dinner party!